Lala is using Smore newsletters to spread the word online. Is browsing the Internet becoming a full time job? Sure, browsing is fun but not when you need to find something fast. Are you spending too much time doing research and then losing your bookmarks? Let's look at some ideas and tools that might help with Internet research and organizing your bookmarks. 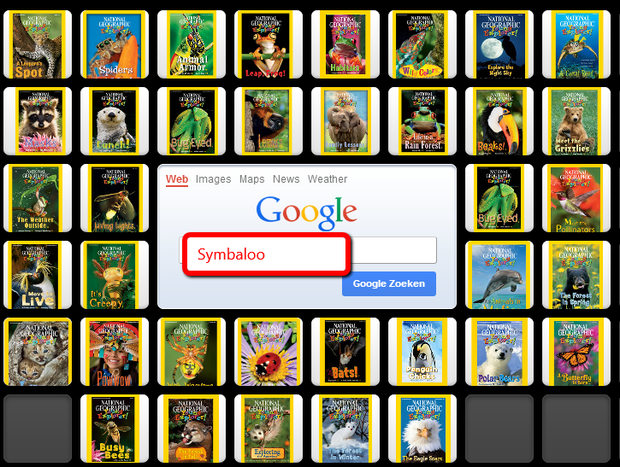 Symbaloo is a great tool for organizing the websites that you need bookmarked. Symbaloo it is a great sharing and focusing resource. As example, for a web based research, the teacher can bookmark all the websites that the students are using. This will ensure that the students will not spend too much time looking for resources and will keep them focused on the task. Speed Dial is another tool that will organize the Google widgets on one page. It can be downloaded from the Google Web Store. Classroom use: The students can make up their own pages with their customized widgets. Downsize: only Google widgets can be used and the students need a Google account. Pinterest is a visual website with bookmarks. The teacher can search for different boards and can follow people. For French Immersion is priceless because I found a ton of resources that I wouldn't have ever find.